Yardscapes' has over 43 years of design / installation experience along with countless years of field experience, working with specialty installations. Our installation crews are comprised of well-trained professionals who have worked for years together. This combination of experience and expertise places us in a prime position to offer the best in all aspects of design and implementation. Our focus is on the design and installation of custom residential outdoor spaces and environments. We combine art + science to create a unique project for every client. Each project can be constructed with a combination of natural stone and other hardscapes elements, a variety of plant materials, water features, patios, retaining walls, lighting, custom pools, outdoor kitchens, fireplaces and fire pits. With the proper combination of natural elements; your personal natural environment can be created. Yardscapes' is celebrating over 40 years as an Associates of Landscape Architecture for doing residential design / installation projects. 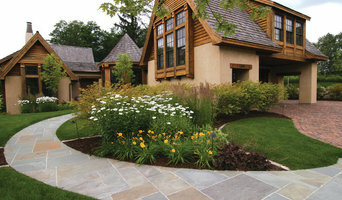 As an award winning company and member of the Minnesota Nursery & Landscape Association, Yardscapes continues to be active in Parade of Homes tours and Midwest Home Luxury Home Tour on an annual basis. We tailor each outdoor living space to suit your lifestyle: from gardens, fire pits, and patios to outdoor kitchens, pavilions and pool houses, we’ll help you dream up your ideal living space! Bachman's Landscape is a full service design and build firm serving the greater Twin Cities area of Minneapolis, St Paul and their suburbs. Our initial consultation on your project is all about listening to your wants, needs and desires. We will then typically develop a concept, direction and budget for your landscape after discussing and viewing the options in my portfolio books for hardscapes and plantings. As a customer you will appreciate the attention to detail, creativity of design and quality of Bachman's products and guarantees. Whether intended to welcome, entertain, or simply look gorgeous, a custom landscape from Villa Landscapes will achieve your objectives with class. Let us make your yard extraordinary. 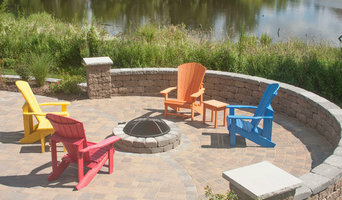 Family owned since 1965 as the design/build division of Patio Town, Villa Landscapes has roots deep in the Twin Cities. With thousands of satisfied clients—many of them repeat customers—we have earned a reputation for quality and craftsmanship second to none. From your initial consultation until the last planting is in place, our team of landscape designers will work to exceed your expectations. Whether you're starting from native soil, adding to an existing landscape or seeking a total makeover, Villa Landscapes' professionals are masters at designing outdoor spaces that blend the comfort and ambiance of your home with the natural environment. With a landscape from Villa Landscapes, a whole new way of living awaits you right outside your door. We have three convenient locations to serve the greater Twin Cities area: Burnsville 952 894-1553 Maple Grove 763 425-9277 Oakdale 651 773-7440 Whether you’re starting from native soil, adding to an existing landscape or seeking a total landscape makeover, our professional landscape designers are masters at creating outdoor spaces that blend the comfort and ambiance of your home with the natural environment. And every Villa Landscapes design is unique; you won’t get cookie-cutter plans from us. Your personal Villa Landscapes designer, working with our team of professionals, will develop a custom solution specific to your yard that reflects your vision and desires—an expertly designed landscape. And we build it right—or not at all. We believe in hands-on project management from start to finish. Throughout the construction process, your Villa Landscapes designer and field supervisor will be on-site to monitor the progress of your project until it’s complete. All of our clients get the same high level of professional, attentive service, no matter what size the project. Our commitment to you doesn’t stop there. We install only premium hardscape materials and warranty our work. And, as a division of Patio Town, we’ll always be available to see to your future landscaping needs. We want to be your landscape professionals for life. Let us make your yard extraordinary. Terra Forma Design is a member of the Association of Professional Landscape Designers (APLD). Over the years, we have been involved in leadership with APLD and similar organizations providing us with strategic connections and keeping us current with innovative trends and practices within our industry. Through our memberships, we are able to promote professionalism and to help keep our green industry strong. Our projects are installed by a very select group of service partners. We are dedicated to staying in close communication with our installation teams throughout your entire landscape project. Every job site is visited daily by our staff to ensure that the client’s vision is implemented and complete satisfaction is realized. Our business is generated mainly by personal referrals, so please let everyone know what a good experience you had with us. We also maintain strong relationships with quality builders and remodeling contractors that look to us to complete their landscaping projects in a professional and timely manner. Unique landscapes begin with unique design, a deep analysis of the site and expert management. With this core philosophy, Grey Leaf Design strives to create a dynamic platform of coordinated relationships between built and natural elements and their effect on the human spirit. At Grey Leaf Design both the science and the art of design are taken into account creating unique designs that awakens the senses. With this in mind Grey Leaf focuses on providing sustainable design solutions for your project. We believe a landscape design should be a work of art. It should engage the senses and delight the imagination. A landscape design should have memorable focal points and be something of lasting and unique beauty and enhance personal enjoyment. Because the landscape embraces the structure it should complement both site and structure. NRD is a complete design / build firm located in the west suburbs of Minneapolis. NRD offers creative solutions for any outdoor space and takes great pride in offering high levels of customer service, unique design skills and quality craftsmanship. C. Johnson Landscape Design Group is a licensed landscape design+build+manage company serving the Minneapolis and West/SW/NW metro area. We are detail oriented from our thoughtful designs to our project management style, keeping you updated at every step along the way. We will provide you with a passion for design solutions, honest communication and a commitment to excellence. We specialize in helping clients increase the value and beauty of their home and property. We pay special attention to the details to ensure complete satisfaction of each client. 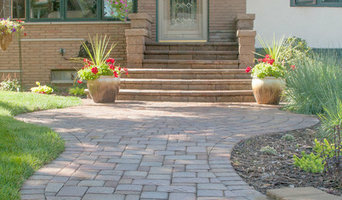 Our goal is to not only enhance the exterior beauty of your home, but to have your entire experience be a positive one. We achieve this by listening and understanding your goals and dreams, then translate those goals and dreams into a design, and then into reality. We feel strongly about the importance of spending time outdoors and the benefits it offers. We strive to create balance and unity between your homes interior and exterior as well as creating a space that reflects your person style. We take great pride in being able to enhance the quality of our clients lives and properties by creating thoughtful outdoor living spaces. Landscape Renovations is your full-service design & build residential landscape firm. Creating the perfect landscape takes more than a quick sketch and a few materials. It takes designers and installers who listen to what you want, are passionate about the work, and your ideas. Our careful planning and attention to detail along with the highest quality of materials will be blended together to create a design that truly works for you. As a company we are committed to turning your vision into reality. MH3 Design Group is a luxury, Landscape and Pool Design/Build firm that is dedicated to providing our discerning clientele with the utmost creativity and engineering proficiencies found in landscape architecture today. Our design focus and inspiration revolves around creating your outdoor environment that incorporates such elements as pools, water features, outdoor kitchens, fire, statuary, natural stone, elaborate plantings and unique touches that truly separate MH3 from the mutable milieu of today’s landscape architecture. Bachman's Landscape is a full service design and build firm serving the greater Twin Cities area of Minneapolis, St Paul and their suburbs. Our initial consultation on your project is all about listening to your wants, needs and desires. We will then typically develop a concept, direction and budget for your landscape after discussing and viewing the options in my portfolio books for hardscapes and plantings. As a customer you will appreciate the attention to detail, creativity of design and quality of Bachman products and guarantees. Magnolia Landscape and Design Co.
Magnolia is different kind of landscape company. We think it’s important to know more than just our customers’ names – we need to know them on a personal level so we can imagine how their new landscape will fit and enhance their lifestyle. Our specialty is designing landscape environments that fit the space and look like they were meant to be there. If our customers are happy, then we’ve done our job! Tom’s love for the outdoors and landscaping can be traced back to his childhood growing up in Mayer MN; his fascination with flowers, plants and trees was evident as soon as he began walking and talking. In fact, he still has his old leaf collection! Tom originally went to school to study Engineering, and upon finding that he wanted a field with a more creative component, changed his area of study to Landscape Design. After working as landscape foreman around the Eden Prairie area for a number of years at a successful landscape company, he decided to start his own landscape company. His handpicked team of project managers and assistants ensures every landscape project goes according to plan and stays true to the customer’s vision. Established in 2002, Tabor Group Landscape blends expert designs with an unheralded level of client interaction. We create, install, and maintain beautiful, functional living areas for the largest room of your home—the outdoors. For over ten years, our approach to successful landscape design has never wavered; it starts with you. We will explore your personality and lifestyle, walk you through the process and possibilities, and address your concerns along the way. In the end, our goal is to design a stunning space that not only exceeds your expectations, but is a reflection of where we started—you. Creativity, quality, and exceptional client care are what make Tabor Group Landscape’s design and installation services second to none. 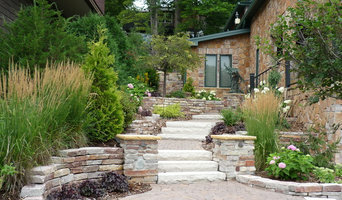 Landscape & Irrigation Specialists located north of Minneapolis, Minnesota. Proud to serve those within the Twin Cities and surrounding suburbs. Aspen Landscape, Inc. is based on delivering professional landscaping services with the understanding that details matter. Our commitment to our customers provides excellence, quality, value and service, in return for a fair profit while upholding the high standards of our business and meeting or exceeding customers’ expectations.